This project was completed using WordPress and a custom template. 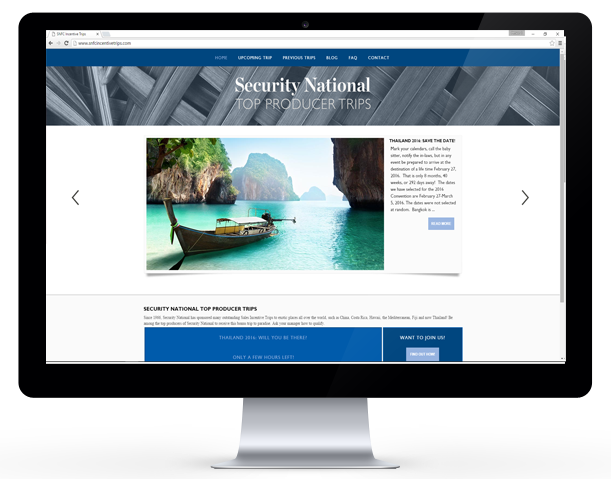 The purpose of the site is to inform employees of Security National about the upcoming, as well as previous, incentive trips. 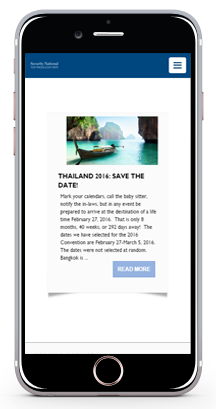 The site is built in blog style and features feeds that display all posts and only posts about the upcoming trip. 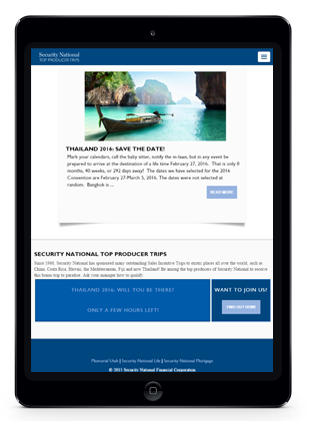 Since 1966, Security National has sponsored many outstanding Sales Incentive Trips to exotic places all over the world, such as China, Costa Rica, Hawaii, the Mediterranean, Fiji and now Thailand!